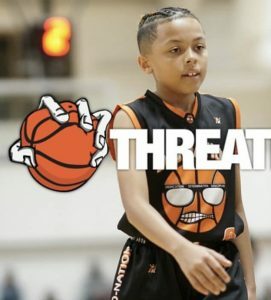 5th grade/2026 class shooting-guard DeVaughn Ware from Illinois can score, handle, and defend the ball. Ware trains with Puresweat Academy and plays AAU for 3D Metro Elite. In addition, he attended various mainstream camps and tourneys last year. Winning the Human Calculator Award, Ware is enrolled at Laverna Evans Elementary and has a 3.7 GPA. DeVaughn’s wished-for colleges are Duke, Missouri, and Alabama, and he hopes to become a professional basketball player and a sports trainer. As Ware nears middle school, keep your eyes on this talented stud.